CNC Cape Town - A Digital Cutting Company Based in Cape Town, South Africa. CNC Cape Town is a one-stop-shop that specialises in precision CNC Router cutting of plywood, solid wood and plastic materials. We have 12 years of Manufacturing, Design and Client service experience and guarantee you a high level of professionalism, product standard and attention to detail. We pride ourselves in using the latest advanced machinery to give you the premium craftsmanship, quality custom furniture and terrific customer service. Our modern facility houses cutting-edge, high-speed Computer Numerical Control (CNC) 3 x AXIS machinery. This machining process ensures highly accurate two and three dimensional cutting of components by removing material through a subtractive drilling process. We work to a precision of 0.01mm which guarantees a consistently, excellent cut and a fine finish on all jobs. Customised furniture making of desks, etc. Our CNC machine machine cuts up to 1220mm x 2440mm x 30mm boards. The size of this CNC machine provides unlimited possibilities for clients requiring large models or prototypes. Our trained machine operator is also a carpenter, offering expert advice on what materials are best for the job. Particle Board, Plywood, solid timber, acrylic and foam. We spray paint your product using our water based, clear sealers with two coats for a smooth finish. Colours are available and are quoted separately. Whether you need a premium, rapid prototype or fabrication of a large scale product or a large production run, we will get it done within our Cape Town-based workshop. Our skilled carpenters ensure an efficient manufacture process to complete your project on time, every time. All CNC work excludes delivery and is billed separately. Delivery charges depends of the size of job. 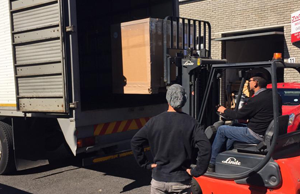 We deliver across South Africa and can deliver internationally. Any job that requires delivery requires packaging. If you require special packaging for deliveries please let us know, otherwise we will quote you on our standard packaging and delivery fee. We offer affordable laser etching and engraving for medium to large batch production. We laser etch on a variety of materials including wood, plastic and rubber. (We do not offer laser cutting, however, we can cut through paper. We do not laser etch onto metal) Request a quote here. We take your brief from sketch to physical product and turn your idea into reality. We do this by creating a design file that fits your brief at R850/hr incl VAT. Our Team of Skilled Product Designers have many years of experience working with state of the art equipment and software to give you the best 2D and 3D designs. We're able to create complex shapes and forms that not only meets your requirements but exceed beyond your expectations. Request a quote here. 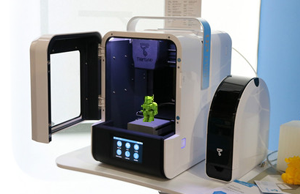 Our high quality, professional 3D modelling and 3D printing services are ready for single prototypes or medium to large batch production runs. Our max print size is 120mm x 120mm x 120mm. Customise your 3D print with any colour of plastic ABS material. For a free quote please email us together with your 3D model. To get a quote please fill out the form and we'll swiftly get back to you. .PDF, .DXF, .STL, .AI files. If you can't get your work into these formats, email us and our knowledgable and friendly team will help you. Our CNC can cut up to 1220mm wide x 2440mm long x 200mm thick. Please save Autocad .DWG files as version 2000. Google Sketchup files can be sent but leave shapes flattened, do not use the push/pull function. Intersecting curves and lines need to connect, unintentional broken vectors will require welding (joining). Lines on top of each other can cause problems. Polylines with thicknesses should be set to thickness zero. I UNDERSTAND THAT I MAY UNSUBSCRIBE AT ANYTIME. Sign up with your email address to receive updates on cool events and projects.